Both the Chairman, Robert Childs, and CEO, Bronek Masojada, of Bermuda headquartered insurance and reinsurance group Hiscox have said that they see insurance-linked securities (ILS) capacity as a permanent and growing feature of the wider insurance and reinsurance market. 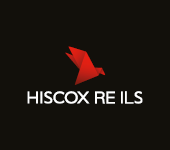 The comments were made as Hiscox reported its second-quarter 2013 results. Hiscox has itself made more concerted moves into ILS and third-party reinsurance capital management in recent months having invested in the Third Point Re catastrophe fund in late 2012, launched and begun deploying capital through a new collateralized reinsurance sidecar Kiskadee Re and creating a new role at reinsurer Hiscox Re of Director of Insurance Linked Securities (ILS). All these activities point to a broad ILS and third-party capital strategy at Hiscox, with plans to leverage other platforms (such as the Third Point Re deal) as well as create its own facilities for managing third-party capital and deploying that capital within its underwriting businesses. Meanwhile, the FT reported on the 29th that CEO of Hiscox Bronek Masojada had said that the influx of capital into the reinsurance space from third-party investors was not a passing fad and in reality was here to stay and would grow as a percentage of the market. Hiscox continues to cement a position firmly within the ILS space for itself, with its experienced team based in Bermuda and its willingness to work on flexible capital management solutions for itself or as a partner with others. We expect Hiscox to be one of the firms leading innovative initiatives to help bring more capital into the sector as the insurance-linked securities space expands.